Data provides the basis for emerging scientific and interdisciplinary data-centric applications with the potential of improving the quality of life for the citizens. However, effective data-centric applications demand data management techniques able to process a large volume of data which may include sensitive data, e.g., financial transactions, medical procedures, or personal data. Managing sensitive data requires the enforcement of privacy and access control regulations, particularly, during the execution of queries against datasets that include sensitive and non-sensitive data. 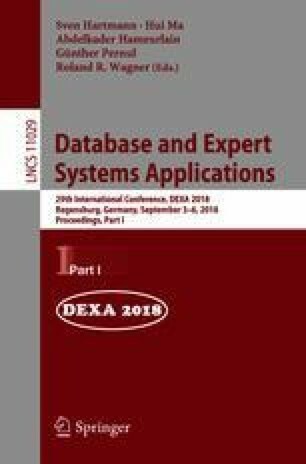 In this paper, we tackle the problem of enforcing privacy regulations during query processing, and propose BOUNCER, a privacy-aware query engine over federations of RDF datasets. BOUNCER allows for the description of RDF datasets in terms of RDF molecule templates, i.e., abstract descriptions of the properties of the entities in an RDF dataset and their privacy regulations. Furthermore, BOUNCER implements query decomposition and optimization techniques able to identify query plans over RDF datasets that not only contain the relevant entities to answer a query, but that are also regulated by policies that allow for accessing these relevant entities. We empirically evaluate the effectiveness of the BOUNCER privacy-aware techniques over state-of-the-art benchmarks of RDF datasets. The observed results suggest that BOUNCER can effectively enforce access control regulations at different granularity without impacting the performance of query processing. This work has been funded by the EU H2020 RIA under the Marie Skłodowska-Curie grant agreement No. 642795 (WDAqua) and EU H2020 Programme for the project No. 727658 (IASIS).